Want to learn more about our work and simple actions that make a big difference for Northwest wildlands and wildlife? Please fill out this form to receive our monthly Conservation Connection E-newsletter and our timely WILD NW Action Alerts! We’ll send you updates on protecting, connecting and restoring wildlands and wildlife in Washington state and British Columbia, as well as opportunities to take action. Looking to volunteer? 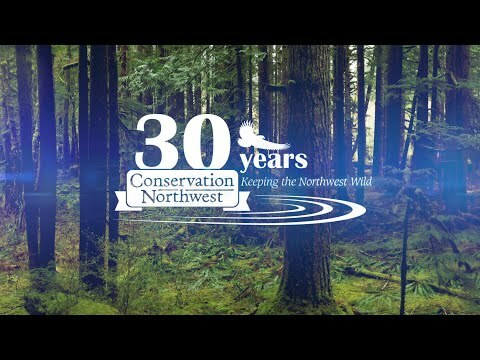 Please email outreach (at) conservationnw.org and indicate whether you’re interested in our Citizen Wildlife Monitoring Project, habitat restoration planting parties, or helping out with our annual auction and other events. At Conservation Northwest we do not share our lists with other parties. In addition to our monthly E-Newsletter and action alerts, we occasionally send specific emails regarding urgent issues and donation or membership opportunities. You can always manage your email subscriptions by emailing info (at) conservationnw.org.